The purpose of this Guide is to provide recommendations for evaluating the seismic operability of valves, pumps compressors, fans, air handling units, and chillers. The recommendations are in the form of seismic evaluation checklists, static and dynamic calculation methods and seismic testing protocols. 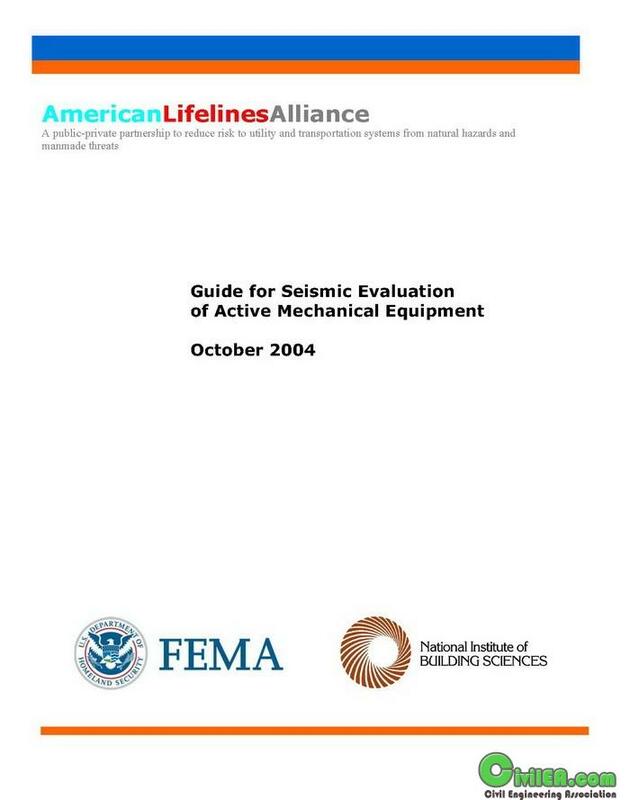 The Guide provides the background and technical basis for the proposed seismic evaluation methods. This background consists of equipment descriptions, analytical experience, seismic test experience, lessons learned from earthquake investigations, and observations of operating failure modes and equipment maintenance. The Guide covers the seismic adequacy of the equipment itself, but does not address its power supplies, instrumentation and controls. These need to be addressed separately, if the equipment is required to operate during or after the earthquake. Chapter 2 of the guide addresses the principles of seismic equipment engineering and provides a review of existing seismic qualification methods and standards. Chapters 3 to 7 address the five classes of active mechanical equipment: Valves (Chapter 3), Pumps (Chapter 4), Compressors (Chapter 5), Fans and Air Handling Units (Chapter 6), and Chillers (Chapter 7). Each one of these equipment chapters is structured in a consistent manner and addresses, in order: (1) equipment description, (2) equipment performance during earthquakes, (3) equipment performance in seismic tests, (4) methods, rules and limitations of seismic analysis, and (5) equipment vulnerabilities based on common – non-seismic – operation and failures (corrective maintenance). Each equipment chapter concludes with a seismic attributes checklist. In addition, the guide includes two chapters that apply to all classes of equipment: anchorage to concrete (Chapter 8) and evaluation of seismic interactions (Chapter 9). The seismic attributes checklist, together with the support and anchorage checks of Chapter 8 and the interaction checks of Chapter 9, constitute the basis for seismic qualification of the equipment.